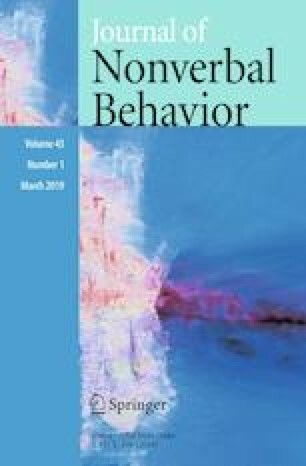 The ecological theory of social perception suggests that people’s first impressions should be especially accurate for judgments relevant to their goals. Here, we tested whether people could accurately judge others’ levels of antigay prejudice and whether gay men’s accuracy would exceed straight men’s accuracy in making these judgments. We found that people judged men’s (but not women’s) levels of antigay prejudice accurately from photos of their faces and that impressions of facial power supported their judgments. Gay men and straight men did not significantly differ in their sensitivity to antigay prejudice, however. People may therefore judge others’ levels of prejudice accurately regardless of their personal stake in its consequences. This research was supported by grants from the Social Sciences and Humanities Research Council of Canada to RA and NOR. We thank Garrett Arathoon, Joseph Choi, Emerson Daniele, and Chuyun Shen for their assistance in experimental set-up. Experimental design: RA and NOR; Data collection: RA and NOR; Data analysis: RA; Writing: RA and NOR. All procedures performed in this study followed the ethical standards of the University of Toronto Research Ethics Board and with the 1964 Helsinki declaration and its later amendments or comparable ethical standards. We obtained informed consent from all participants included in the study.